Whether you care for a family of six or just yourself, if your beloved washer and dryer break down, you’ll be stuck running back and forth from the nearest laundromat. That doesn’t seem fun; in fact, it’ll make you feel like it’s the end of the world. You’ll be wondering how people willingly rent homes and apartments without a reliable washer and dryer on hand. But don’t fret for too long! Once you’ve realized it’s not the end of the world because Shaker Heights has a leading washer and dryer repair service technician available at your beck and call, you’ll soon be washing and drying your clothes like nothing ever happened. 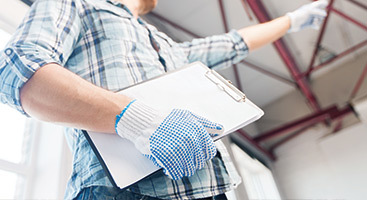 When you have high-quality washer and dryer repair services available to you in Shaker Heights, you won’t have to rely upon a dirty laundromat to wash your clothes at. Did you know that your washer and dryer are much more likely to break down after they turn 10-years-old? It’s quite common to get a call from families who have owned the same washer and dryer since their 10-year-old kiddo was born; kids can be pricey, which means no new appliances for you! However, if you’re considering purchasing a new washer and dryer set, know that may not be your best option when trying to save money. If you aren’t sure which way to turn, call upon our washer and dryer repair gurus in Shaker Heights at Appliance Repair Cleveland. We can help you get clean clothes again or help you learn if it’d be better for you to repair or to purchase a new washer and dryer set. Bad motor. One of the most common reasons your washer and/or dryer needs a repair or replacement is because of a bad motor. 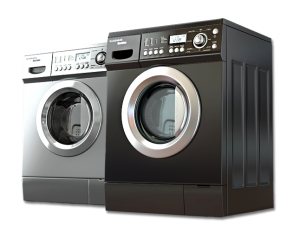 After using your current washer and dryer for 10 or more years, the motor will become weak and will eventually need to be repaired or completely replaced. 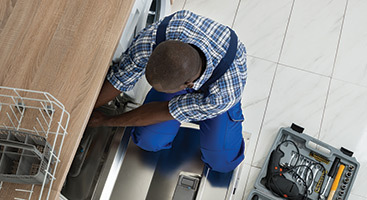 If your washer or dryer (or both of them) start the job but can’t finish it, our washer and dryer repair technicians can help. Bad water pump. If your washer has been giving you problems time and time again, it may be because it has a bad water pump. A bad water pump will likely begin to leak, and a leaking water pump can cause you even more problems, such and uncirculated water. Water that doesn’t circulate will only cause problems, including mold and mildew. Bad gaskets and seals. If you have an effective washer and dryer, the gaskets and seals have to be sturdy and reliable. If either a gasket or a seal is broken, it will cause a leak. Leaks will make drying your clothes much harder than it should, causing your dryer to take on much more work than it’s used to. If you’re experiencing this sign, our washer and dryer repair experts can help! Bad belts. Do you hear plenty of squeaks coming from the washroom? If so, it could be because there are bad belts, but that’s not the only sign. A washer and dryer may not even work because of a bad belt. If your washer or dryer won’t spin, it’s time you give our appliance repair experts a call for assistance. Bad thermal fuse. If your dryer leaves your clothes soggy, you most likely are dealing with a faulty thermal fuse. However, a thermal fuse can also overheat your clothes. 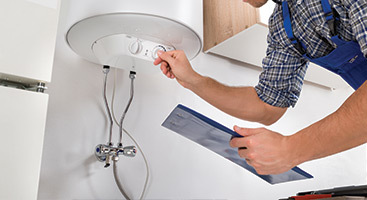 If it has gone bad, you can rest assured our dryer repair experts can help you. Let us replace the fuse and help you get properly dried clothes back in your closet. Join Shaker Heights’ leading washer and dryer repair and service experts online today. We have what it takes to provide you with any and all repairs needed to provide you with clean and dry clothes. 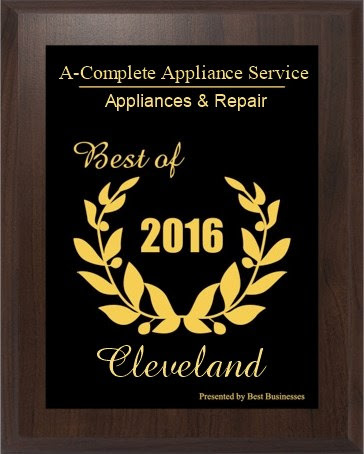 Don’t settle for heading to the laundromat; instead, give our appliance repair professionals a call here at Appliance Repair Cleveland, today!